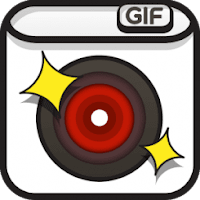 GIF Maker camera is an application that can makes animated GIF. Your photos can get a feeling of vitality by GIF camera. This free app can record the funny moments happening every time, and make it much more interesting. Effect for funny, bizarre, scary and other photos like a video. Share your funny photo with your friends, family and others by making continuous shooting. ✔ Continuous shooting for making animated GIF. - Edit : You can choose number of photos and playing time.